Thank You to City of Memphis and Shelby County! 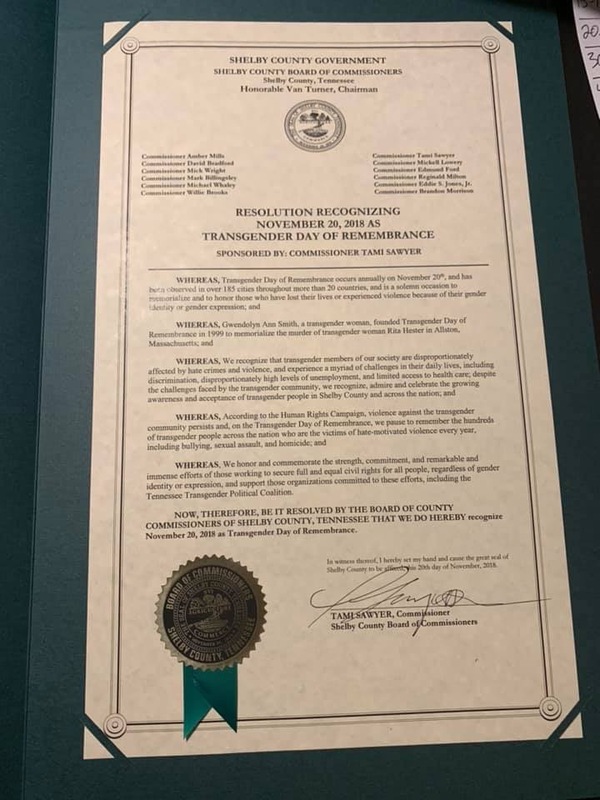 OUTMemphis would like to give many thanks to both City of Memphis and Shelby County governments for issuing resolutions to recognize November 20, 2018 as Transgender Day of Remembrance. 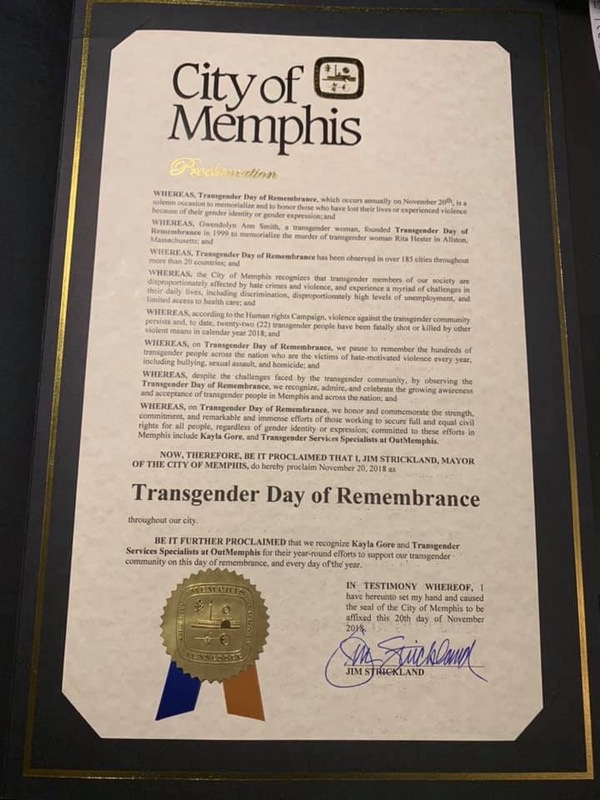 We would also like to give a special THANK YOU to County Commissioner Tami Sawyer, Ginger Leonard with Tennessee Equality Project (TEP), and Dabney Ring with City of Memphis for making this possible.